Imprinted plastic gourmet pizza cutters and pizza slicers have a large heavy duty cutting blade. The white non stick blade can be removed for easy cleaning. FDA Compliant removable plastic blade. The perfect promotional product to place your message into the most popular room in every home and kitchen. Can be used to cut pizza, quesadillas, panini, flat bread, sandwiches, brownies, cooking dough. 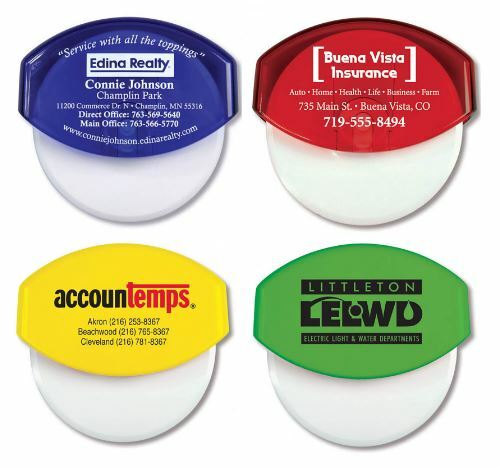 The removable handle feature a large imprint area for your advertising copy or logo. Made in the USA. Above prices include one color of imprint​ on one side. Product Size: 4-7/16" x 1" x 4-3/16"
Production Time: 10 working days, plus UPS shipping time.